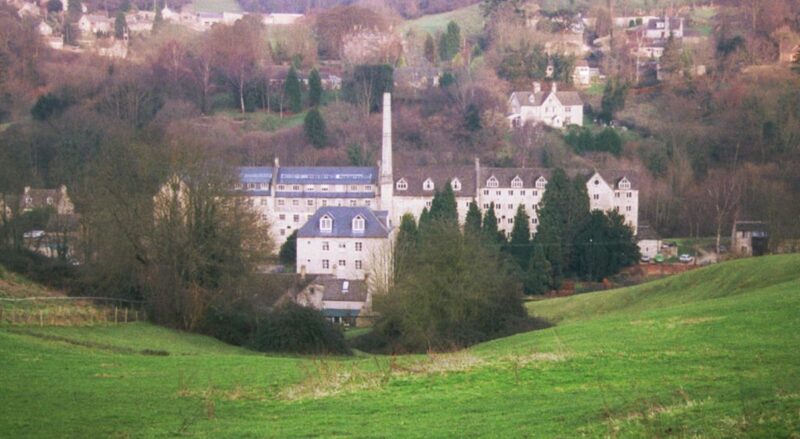 Dunkirk Mill is located about a half mile out of Nailsworth, on the A46 to Stroud. The cycle trail which used to be a private railway line operated by the Midland Railway passes alongside the rear of the mill. 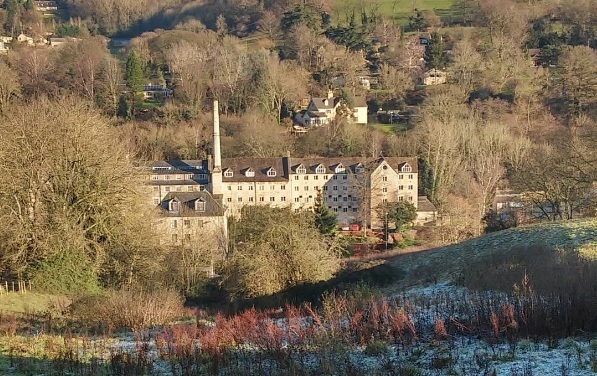 The black and white image shows where a water wheel was before the building got converted into flats. 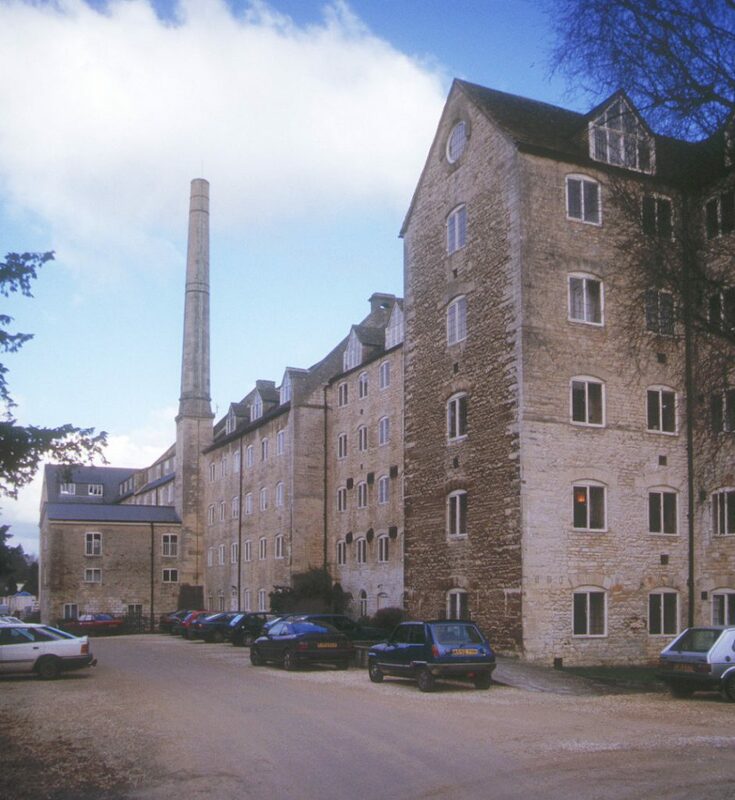 The mill stood empty for for quite some time after it ceased to be used for it’s former use as hosiery and walking stick manufacture. The conversion to flats began with the property boom and was then sold, half-ish finished when the slump followed. Very slowly the conversion continued. 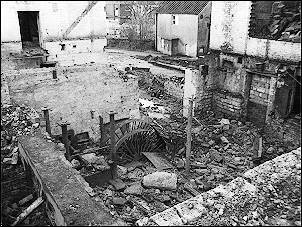 The black and white image is one that was taken in January 1989 and shows a part of a wheel mechanism. This has since been restored and the mill has open days where you can see it running. This in the left hand side end of the mill. Now here’s some interesting information extracted from a book. During the winter of 1939/40 it was so cold that people went skating on Walkers Ponds, Dunkirk.